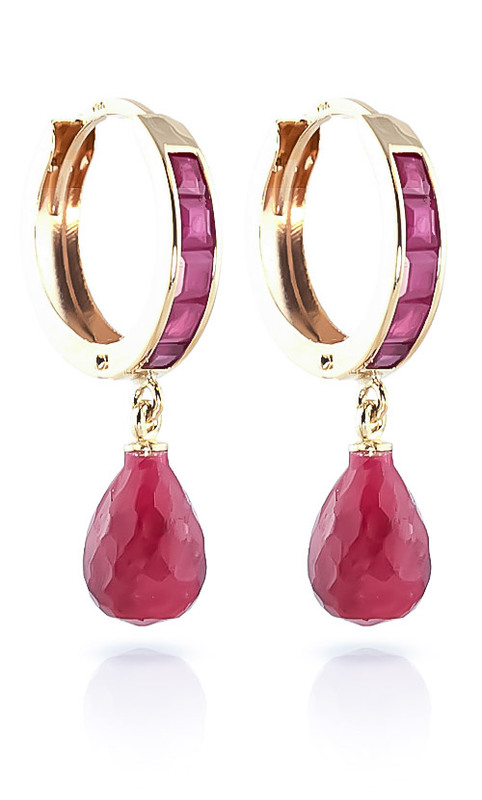 Ruby hoop earrings handcrafted in solid 9 carat gold. Twelve natural rubies, grade AA/VS1, total 7.8 ct for both earrings combined. Princess cut.